Hype can be dangerous and volatile. It can build you up and it can set you up for a fall. In this day and age it's particularly prevalent. Music is so readily accessible and many artists fail to reach the heights laid out for them. Niki and the Dove are the exception. With 'Instinct', they live up to the hype and floor the competition. From Sweden, they are Gustaf Karlöf and Malin Dahlström - the former on production, the latter on vocals - who formed the duo in 2010. Since being nominated in the top five in the BBC Sound of 2012 poll at the start of the year, they've gone from strength to strength, proving they're the top choice in the crowded market of Swedish electro-pop. What sets them apart is their mastery of the pop chorus. Each track on the album features a crescendo chorus, inducing uncontrollable states of euphoria. It proves their pop core, despite some experimental production and dancefloor tendencies. This extends to their more intimate tracks, such as Winterheart and Last Night, with its glittering electronica. Dahlström's vocal is unique, imbuing the music with personality. Her lyrics are full of power and urgency, working in conjunction with the incandescent brilliance of the production. The chorus of Tomorrow ("when tomorrow comes I'm gonna waste my love on you") particularly stands out. Karlöf's dazzling production is electric, colourful and varied. Tracks like Somebody and The Drummer are filled with neon, pin-sharp synths, whilst DJ Ease My Mind has a darker, more industrial feel and The Gentle Roar borders on Bjork realms of experimentation. Yet however far the boundaries are pushed, the album retains catchy chorus hooks for a sound that's complex yet always accessible. 'Insinct' is full to the brim with magical moments - the fuzzy synths and cross-rhythmic drum pads of The Drummer; the slowly overlapping vocal lines of The Gentle Roar; the gradual build and subsequent explosion of Mother Protect; the delectable funk of Somebody; the shimmering chorus of The Fox. Most of all, after constant repeats, the album returns to opening track Tomorrow, with its epic, rousing chorus that will rock you to the core. The only downside is that the majority of the tracks will already be familiar to fans of the duo's previous EPs and releases. But to have them together on one album is a blessing. Really, 'Instinct' is one of the albums of the year. 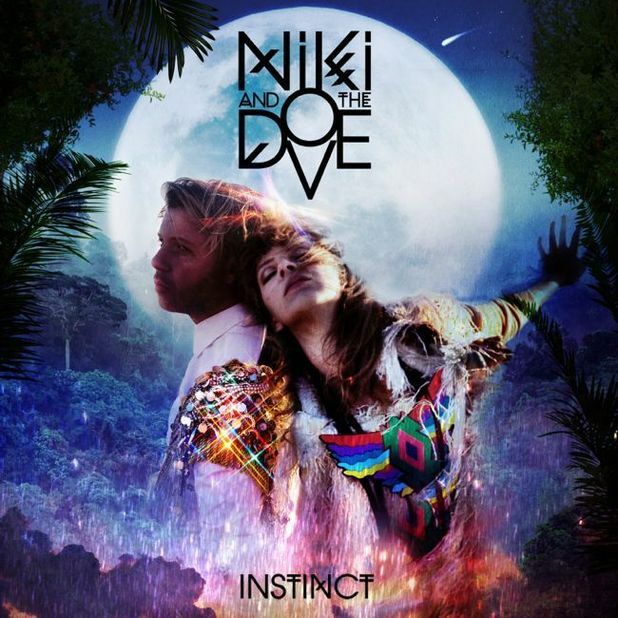 Niki and The Dove have justified their increasing popularity with a collection of spine-tingling, powerful electro-pop tracks. Only one question remains: who is Niki and where is the dove? Listen: 'Instinct' is released on 14th May. You can stream the album now on the NME website. Watch: The duo are supporting Miike Snow on their upcoming UK tour.